The strikes and crazy congestion at the Los Angeles/Long Beach Ports has caused a huge delay in many toys to get released, which has caused a slowdown in what we have been getting. Until all that crazy gets solved, we will still look at toys, and today we bring you Funko’s relatively new line titled “Funko Hikari”. Funko Hikari is Fuko’s answer to the high end collector and this line emphasizes the Japanese Vinyl toy style. 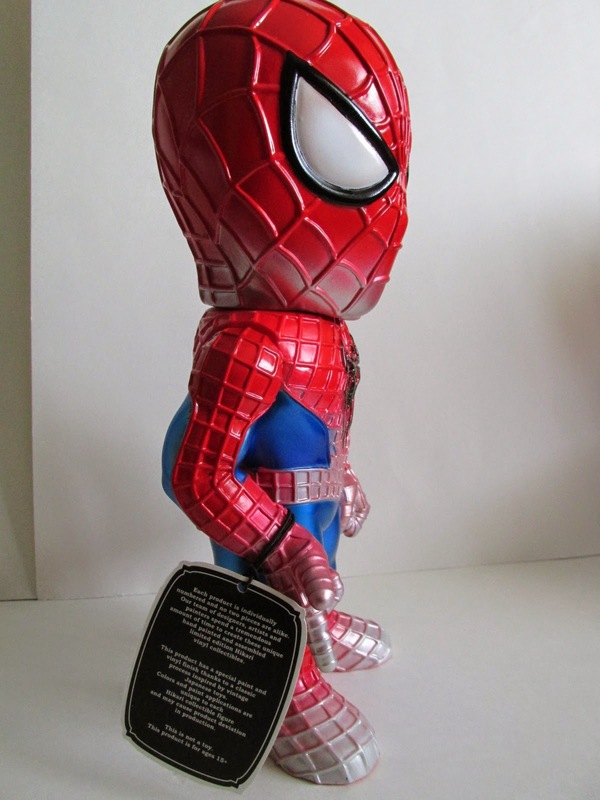 This usually includes famous and niche characters created in vinyl and done with unusual color schemes. 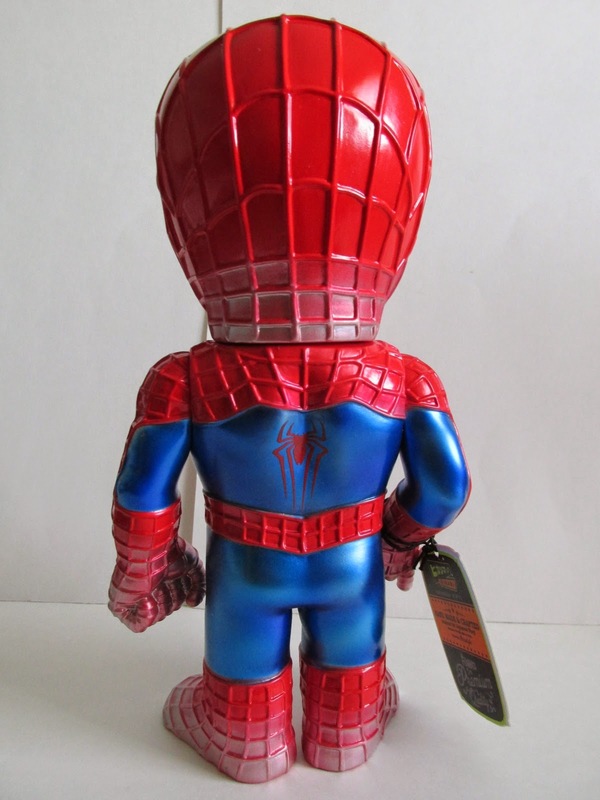 Funko has done Batman, Transformers, Universal Studio’s Monsters, and now Spider-Man! This time around I got the “Blaze Spider-Man” and “New Dimensions Spider-Man”. These are the same figures but with different color schemes. I’m impressed with the paint and style of these two figures. It’s amazing to see just how a different paint app and the level of opaqueness of the vinyl contribute to the variation of these two figures. 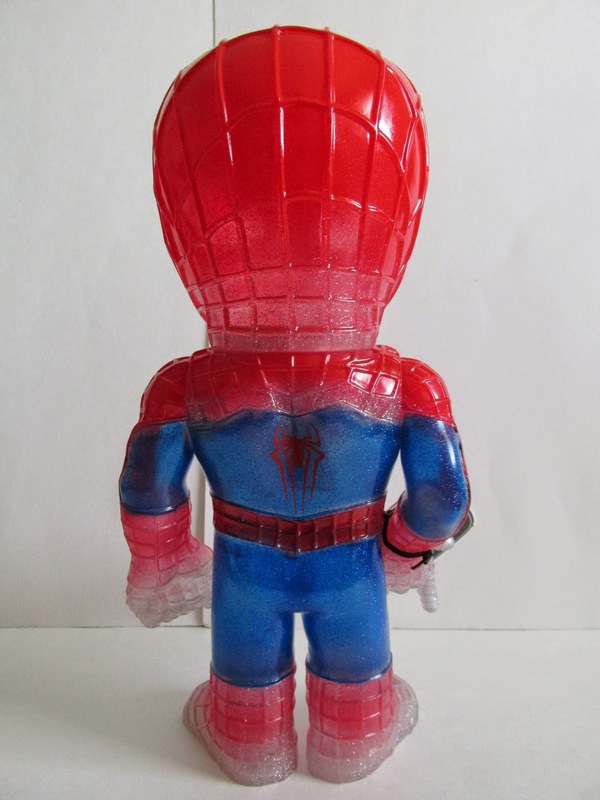 Blaze Spider-man uses a clear body with glitter throughout and no black lines on the eyes. 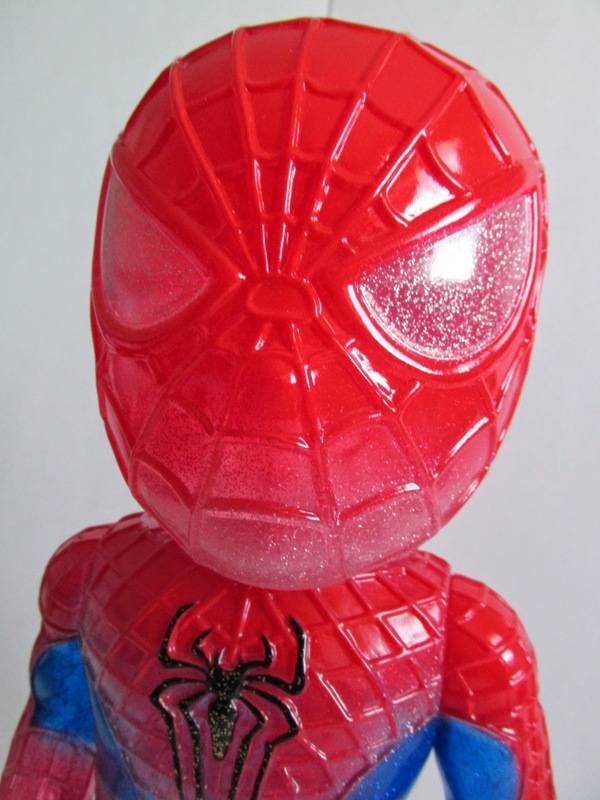 This clear body helps the glitter to stand out and emphasizes its uniqueness over other Spider-Man Hikari relases. 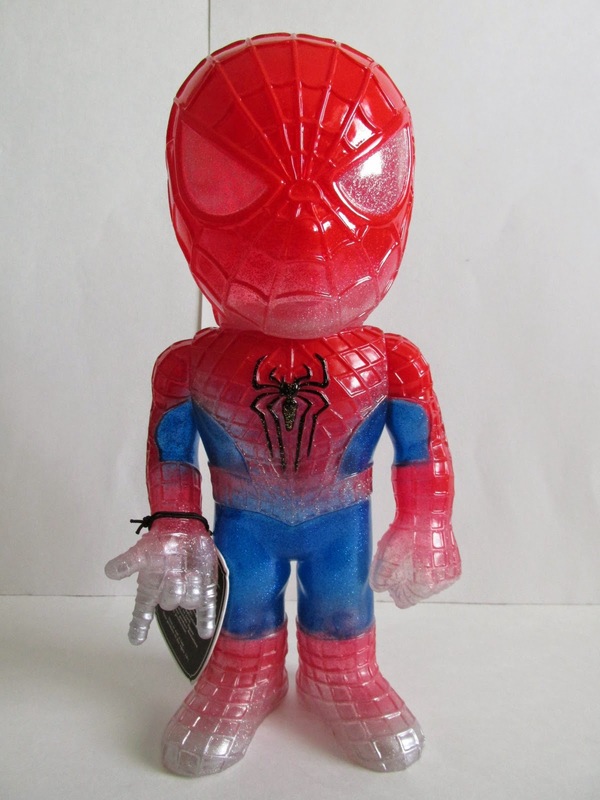 New Dimensions Spider-Man is the opposite and features a regular vinyl body with some metallic paint as well as some glitter. 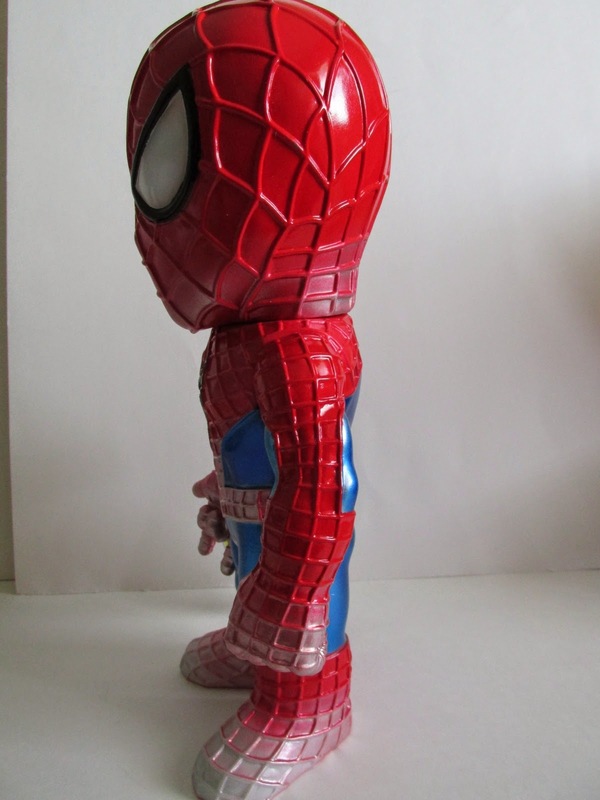 New Dimensions follows more of the traditional look of Spider-Man and this is emphasized with the black lines along the eyes. Holding these in my hands, these do feel sort of cheap especially with the loose head, but I feel this is just the style and the idea Funko had in mind for this particular line. With that in mind, these don’t have much articulation at all. The head can move. That’s it! 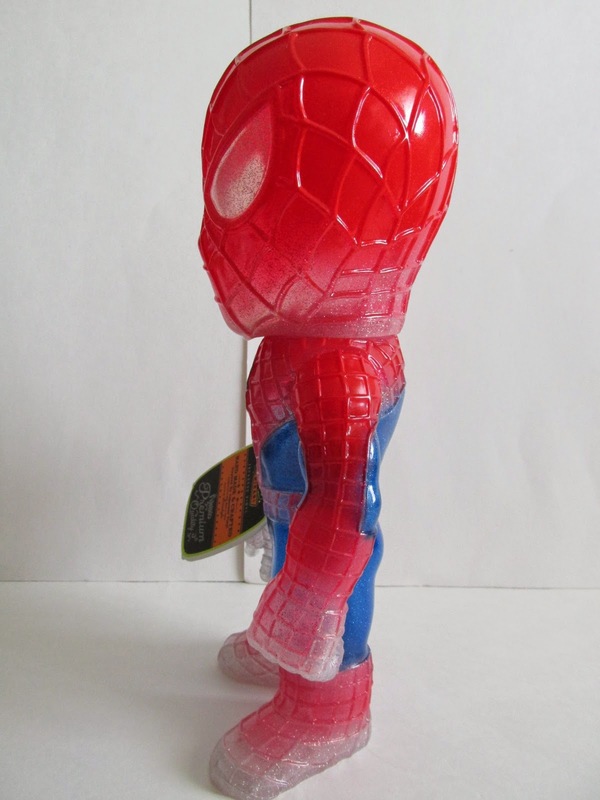 The legs are in a fixed position, and the arms don’t move at all. These might move, but I’m not going to force the arm to move and break it. My thought is that maybe the paint caused the arms to get stuck since the Astroboy Funko Hikari figure I also got doesn’t seem to have this problem. On that note though, you can try to move the arms, but I highly recommend you don’t. The packaging is not very collector friendly, and I had a tough time trying to open the box without damaging it. Otherwise, the box has great art and inside you also get a small card that indicates which number figure you have. Overall, I do like these figures, and these do grow on you after awhile. The only thing deterring me from getting more is the price point and the sheer amount of variants and exclusives that are available. Funko knows how to market their products and with this line especially they plan on making vast amounts of exclusives and variants. In many cases some of these exclusives are all but impossible to get. Good luck if you plan on collecting every variant for every character. You’ll have to post your collections! 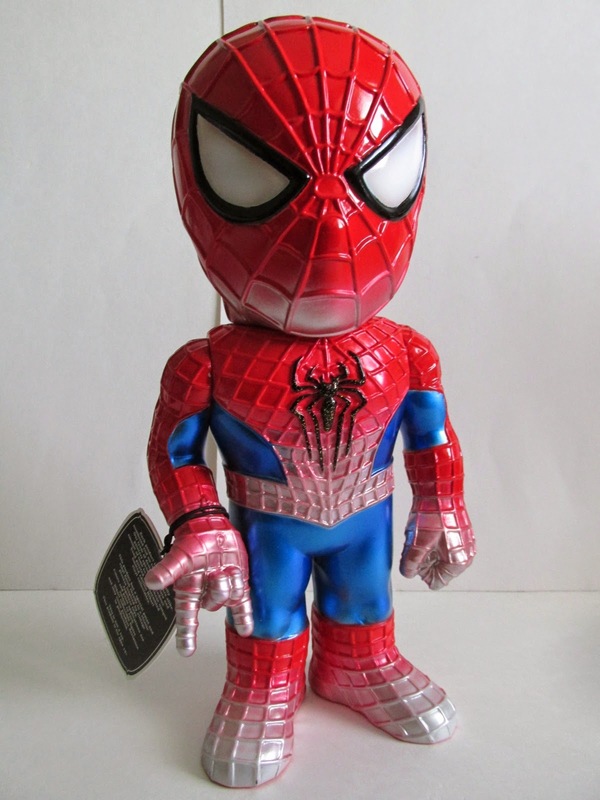 Blaze Spider-man is sold out on Entertainment Earth but you can still get New Dimensions here! Or the Mystic Powers Spider-Man here! and even the Distressed Spider-Man here! The best part of all...It's free shipping!